New Delhi: The government’s ambitious power sector reforms have hit the skids on account of differences that have arisen between the ministries of power and finance, resulting in the holding up of the approval for the Rs1 trillion accelerated power development reforms programme (APDRP) for the 11th Plan (2007-12). “To tide over the crisis, we have asked the state utilities to take loans of up to 75% from the Rural Electrification Corp. (REC) and Power Finance Corp. (PFC). However, we are not sure how successful this attempt will be," said a senior power ministry official, who did not wish to be identified, said. REC and PFC are the two public sector units created to disburse loans to the power sector. Power shortages due to limited capacity and growing electricity theft have been identified as one of the key infrastructure bottlnecks threatening the country’s ability to sustain the 9% per annum growth rate recorded in the last two years. While the 11th Plan period has already started from 1 April, the funding for the APDRP is yet to be firmed up. The programme is the government’s ambitious effort to restore the commercial viability of power distribution and bring down aggregate technical and commercial (AT&C) losses to 15% by the end of 2007. 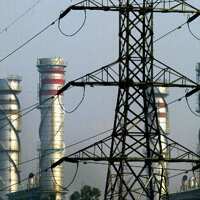 Abhishek Puri, an analyst with ASK Securities, said, “APDRP funding is the backbone of power distribution sector reforms. Any shortfall or delay in the funding could adversely affect the capex (capital expenditure) plans for distribution companies." The APDRP was created for upgrading the distribution system, minimizing transmission and distribution losses, improving metering and assigning responsibility for realization of user charges. However, it has grossly underperformed as it has not been able to bring down the losses to 15% by the end of 2007 as originally targeted in 2000-01, when the programme was begun. It had also envisaged that beginning this year, the Centre would, as advised by the committee headed by former power secretary P. Abraham, directly release funds to power utilities instead of routing allocations through state governments. “The ongoing projects have been affected due to the funding crisis as the finance ministry has raised objections," the power ministry official added. The Planning Commission, too, had advised the power ministry to raise spending substantially to curb AT&C losses. The power ministry had floated a cabinet note seeking a 150% increase in Central funding compared with the 10th Plan (2002-07). The finance ministry objected to it, stating that this funding should come through the Public Investment Board (PIB), which oversees Central sector projects involving an investment of Rs100 crore or more. A senior finance ministry official, who did not wish to be identified, said that scrutiny by PIB makes for “closer due diligence". The power ministry is opposed to this. “Going through the PIB route will take another six months. As the Plan period has already started, what will happen to the ongoing projects?" the official said. To break the stalemate, power minister Sushil Kumar Shinde will shortly write a letter to his colleague in the finance ministry, P. Chidambaram, requesting that the funding be approved by the cabinet. A cabinet note to this effect has already been floated early this year. “The delay could impact the order accrual for transformer companies, as well as act as a dampener for the power sector reforms," Puri of ASK Securities added.